Spacious open floor plan filled with natural light and new paint throughout. New Carpet on Stairs and hardwood through the remainder of the home. Main level has living room with gas fireplace. Kitchen with new quartz counters, undermount sink, Stainless appliances and a spacious private balcony off the kitchen that is perfect for your entertaining needs. Upstairs is the master bedroom with large walk-in closets and private bath. Second bedroom with a full wall of closets, and full bath. One car garage has storage and entry to home. Summerfield at Brambleton has everything you need in a community. Private clubhouse, party room with catering kitchen. Community Dog park, swimming pool, fitness center, car wash and vacuum area, playground, gas barbecue, business center and Verizon Internet and cable is included. On Site property management and maintence . 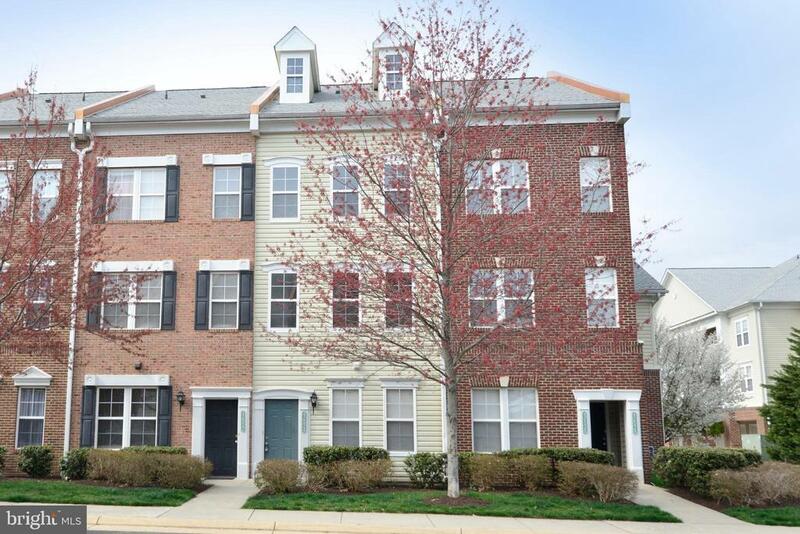 Walk to grocery store, restaurants, the brand new Brambleton Library, professional offices and Brambleton 16 screen theatre. Public 18 hole golf course 1 mile west, and a beautiful park with tennis courts, playgrounds and jogging trails is directly across Ryan Rd. Loudoun Station Metro is 3 miles away! Directions: From Tysons Corner, Dulles Greenway West to Loudoun County Pkwy exit - Left on LOCO Pkwy- Right on Ryan Rd- Right on Verde Gate- Left on Hollyhock- Home on Right. © 2019 BRIGHT, All Rights Reserved. Information deemed reliable but not guaranteed. The data relating to real estate for sale on this website appears in part through the BRIGHT Internet Data Exchange program, a voluntary cooperative exchange of property listing data between licensed real estate brokerage firms in which RE/MAX Premier participates, and is provided by BRIGHT through a licensing agreement. Real estate listings held by brokerage firms other than RE/MAX Premier are marked with the IDX logo and detailed information about each listing includes the name of the listing broker. The information provided by this website is for the personal, non-commercial use of consumers and may not be used for any purpose other than to identify prospective properties consumers may be interested in purchasing. Some properties which appear for sale on this website may no longer be available because they are under contract, have Closed or are no longer being offered for sale. Some real estate firms do not participate in IDX and their listings do not appear on this website. Some properties listed with participating firms do not appear on this website at the request of the seller. Data last updated on 2019-04-20.